An eco-farms route trip through the lush mountains of Nicaragua, in search of great sustainable coffee plantations. Reception at airport gates. Transfer to the colonial city of Granada, and its heart dating back 500 years. Recommendations from your guide and a welcome cocktail. If desired, your Guide can accompany you on a walk to visit some nearby places in the historic city’s center. We start in a sub-humid tropical surrounding: In a corner of the “Mombacho Volcano”, (“la Granadilla”) visiting a women’s organization. We will discover their agricultural products near a spring of clear volcanic waters where we can take a refreshing bath. Rural lunch at “Nicaragua Libre” farm. At the “Las Flores” farm, we can taste a delicious organic coffee (Certified by RFA), before literally flying between and above the leafy tree tops attached to a cable, moving from platform to platform. (Super fun!). Finally, we move to the humid tropics in a region of lush mountains, home to one of the best mountain coffee in the world, the coffee plants are grown slowly beneath the forest without chemicals. We will stop in the city of Matagalpa, where artisans show the movement of their needles and the production of natural jewelry handicrafts. With the sun’s first rays, we will visit a local workshop where women show us how to create crafts with recycled paper. In “la Hermandad” farm, forests are waiting to be trodden. Invited into the jungle, (with great discretion and respect for nature), discover some of the species attentive to the sound of our footsteps. The farm offers a meal with beans and vegetables grown there. We will visit plantations and stay with families in the community and share their daily activities, while feeling “cool” with the natural environment, just like one of the local farmers. Continuing our route by “The Green lode”, we arrive at “La Bastilla” coffee farm where we discover breathtaking scenery around the coffee plantations. We’ll have a look to each interesting activities and social projects developed in these secluded mountains: a technical college, farm animals breeding and new crops, a sustainable tourism project, reforestation and protection activities of the flora and fauna. After a great traditional lunch, we will begin following the trip of a coffee bean: from the plant, to toasting, and a fantastic cup of hot brew, and learn about the art to Taste Testing Coffee, as a connoisseur. In the morning you may want to check out some nearby trails and do some bird watching before breakfast. After we will transfer to the famous coffee farm “Selva Negra”, as we are taken back in time to the 19TH century, discovering the factory and the history of coffee in a small museum. 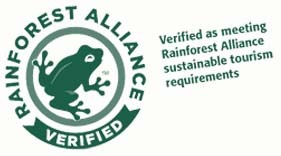 We will walk trails through the virgin rainforest, to a small farm and see the process how Coffee is certified as a sustainable product and brand. Returning to Granada at the end of day, we will dine in the illuminated historic center. Visit the very pedestrian and provincial center of Granada, guardian of memorable and inspiring historical events. Explore Granada’s beauties, by walking, by Horse Carriage and/or by bike, for its picturesque streets, cementery, historical buildings and finally in kayak through the islets, the water labyrinth and the greenish archipelago of Granada in Cocibolca lake, watching huge numbers of waterfowl. INCLUDED: Guide, Tours, Entrance, Transportations, Acomodations and Alimentation (out of the first dinner which is not included) and out of drinks.